I love connecting with people and empowering them to create and grow by sharing my career path and ideas in product design at events around the world. Graduate students majoring in Human Factors and interested in careers in design and research will learn about backgrounds in user experience and what it’s like to work at Facebook. FBU Product Design is an 8-week internship for underrepresented minorities in tech that focuses on skill building and training to help them get into the industry as Product Designers. Students will benefit from asking questions about designers’ experiences and backgrounds. OWN IT WashU is a women's leadership summit designed to encourage WashU women and women in the St. Louis community to be their best selves and to encourage each other to do the same. It is our goal to bring to campus successful, driven, and inspiring women from all walks of life. By bringing together these like-minded women, we believe all attendees will leave with both knowledge and leadership skills to amplify their personal and professional success. 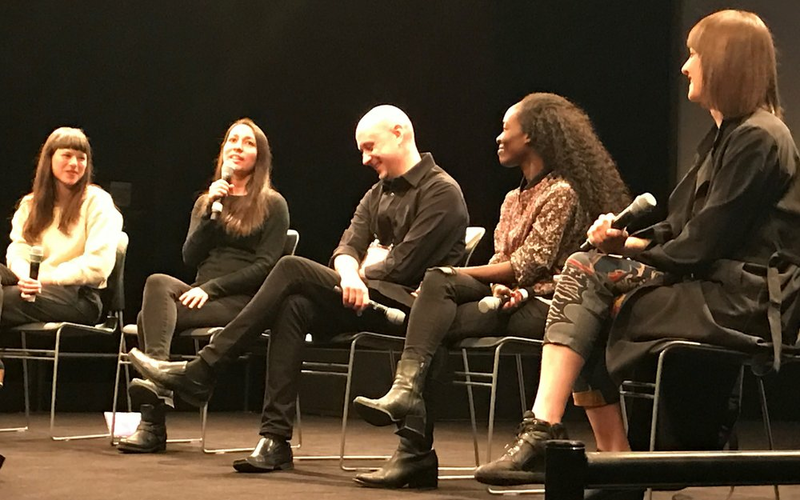 In this panel discussion, we've invited designers at different stages of their career, who have spoken regularly at conferences and public events. Learn how they got their first speaking engagement, what conferences they attend, how they prepare for giving a talk, and what advice they have for those getting started. We hope you'll leave inspired to share your own ideas and experiences, and get out there and speak. Latin American women in technology conference, where participants have the opportunity to listen to women leaders from the region and discuss gender issues in computing and technology. This is a unique opportunity to have access to STEM (Science Technology, Engineering and Mathematics) students, researchers, professors and professionals. La diseñadora de productos de Facebook Paola Mariselli dará una charla sobre "Diseño y Desarrollo de productos para emprendedores" en la cual contará su experiencia como colaboradora de Facebook en San Francisco, USA, brindará técnicas y metodologías para desarrollar productos innovadores y responderá preguntas puntuales de la audiencia. Con el apoyo de: Universidad Peruana de Ciencias Aplicadas (UPC), Avansys, Laboratoria, Hackspace y Toulouse Lautrec. The first annual conference that brings together the Peruvian professional community in the areas of science, technology, innovation and engineering. A group of special needs students from Campbell Union School District will visit to learn what life is like at Facebook. The panel will share about their roles, education, and career paths. Hackathons are a longstanding tradition at Facebook where our engineers stay up all night to create a working product or prototype from scratch. Join Facebook in Santiago, Chile as we stay up all night hacking, learning and having a some fun! Technical interviews are one of the major hurdles of landing an awesome internship or full time career. Come learn about the common pitfalls and tips to help you crush your next coding interview! You will also get a chance to ask our engineers and product designer questions and learn more about their experience. Tech start-up helping SaaS companies grow and succeed. Designing at Facebook: How does one approach designing for a billion people? What learnings can be applied to life on a start-up? We will look at Facebook's design process and how we handle design at our scale. We will also discuss the product designer role, how our teams are structured, and our evaluation framework for creating quality products. This third annual UX Copenhagen conference will include talks and workshops from leaders in the field of user-centered design, invisible UI, and human behavior. Learn how your business can profit from infusing your company's culture with design thinking strategies and empower your users, customers and employees. Designing for the Next Billion People: Facebook’s mission is to make the world more open and connected. We know the next billion people to access Facebook will be different than the last billion. What does designing for the next billion people entail? In looking at our design process for emerging markets, we will learn about our approach to product design in general. We will discuss building products with empathy, the value of working cross-functionally, and how to create quality products for everyone, regardless of their connection or device. Design education happens everywhere. The 2017 Interaction Design Education Summit explores learning design broadly, considering it from its most traditional to most unexpected, from its current state to its future possibility. The Summit asks how does context and collaboration influence learning? In this two-hour workshop, we’ll talk about education the Facebook way. Design Program Managers, UX Researchers, and Product Designers will share examples and stories of how education programs can be an integral part of design culture. In a series of lightning talks, we will discuss the methods and impact of design education, explore formal and informal structures, and share personal narratives of how education programming can impact design careers. International Experience Design Association (IXDC) is hosting an international design trip for design leaders from China, including design directors and senior managers from top Chinese tech companies and professors from the top design schools in China. In this tour, delegates will be learning about Facebook's design process and best practices. Designing at Facebook: How does one approach designing for a billion people? We will look at our design process and how we handle design at the scale of Facebook. We will also discuss the product designer role, how our teams are structured, and our evaluation framework for creating quality products. This conference is for all you creative minds out there who deal with user experience, interfaces and interactions in mobile contexts. It’s not primarily for developers (but we do love you, nonetheless). MOBX is for all those who love small, mobile interfaces and smart experiences, good usability and consistent behavior. Chicano Latino Youth Leadership Project (CLYLP) Comcast Fellows program will visit Facebook to hear from technology professionals on their education and career paths. Napa High School students will visit Facebook to get inspired by technology professionals from non-traditional education paths. At Facebook TechStart, we work with public high schools to connect students to the amazing world of technology by teaching and inspiring the next generation. This event will recognize the best computer science students from each school and will feature a panel of technology professionals. They will discuss their roles at Facebook and showcase the various applications of a technical education. This afternoon workshop will teach seniors how to use Facebook to enrich their lives, including finding friends and pages, posting content, and curating their feeds. As part of the Hayward Promise Neighborhood Program, students from Tennyson and Hayward High Schools will visit Facebook to hear from technology professionals on their roles and non-traditional education paths. As part of the annual Active Aging Week, this workshop will help seniors learn basic Facebook skills, such as registering, connecting with friends and family, and sharing posts and photos. Come meet Graduate School of Arts and Sciences masters students and learn from their experiences and insights on job prospects, scholarships, and programs. This event is sponsored by Harvard's Graduate Student Council. Harvard Project for Asian and International Relations (HPAIR) is a student-run organization of the Harvard University Faculty of Arts and Sciences. HPAIR organizes Harvard University’s largest annual student conferences in the Asia-Pacific region. Since 1991, we have continuously gathered a growing pool of international students from top universities, renowned academics, business professionals, and political leaders to engage in our rigorous educational events. In recent years, Asia's fast growing technology companies have thrived in local markets by combining industry knowledge with local "know-how." Nevertheless, disruptive innovations in the sector, such as those arising from increase internet penetration and the shift to mobile devices, are providing unprecedented opportunities as much as they are challenging companies to adapt. Asian technology companies face the additional obstacle of compliance as governments balance incentivizing innovation and imposing further restrictions on the sector. This technology panel series will explore the factors currently affecting Asian technology corporations and startups. Industry experts will discuss market factors such as governmental influences, local disruptions, global changes, and societal impacts. 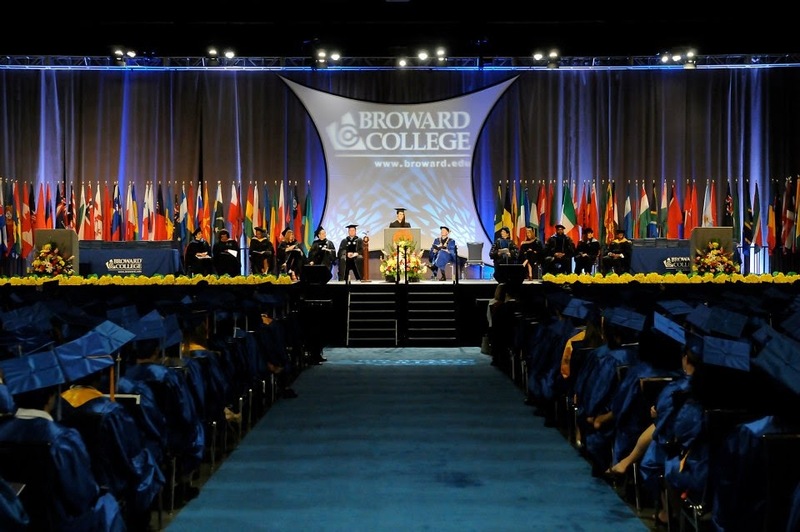 Broward College will hold its spring 2013 commencement ceremony, where more than 2,400 associate’s degrees will be awarded as well as 135 bachelor’s degrees. Broward College alumna Paola Mariselli will be the commencement speaker. She graduated with highest honors with an associate’s degree in management information systems and earned multiple awards and scholarships, including the Jack Kent Cooke Foundation Undergraduate Transfer Scholarship in 2008. She went on to earn a bachelor's degree at New York University and will be attending Harvard University this fall. Watch a video of a pre-speech interview!